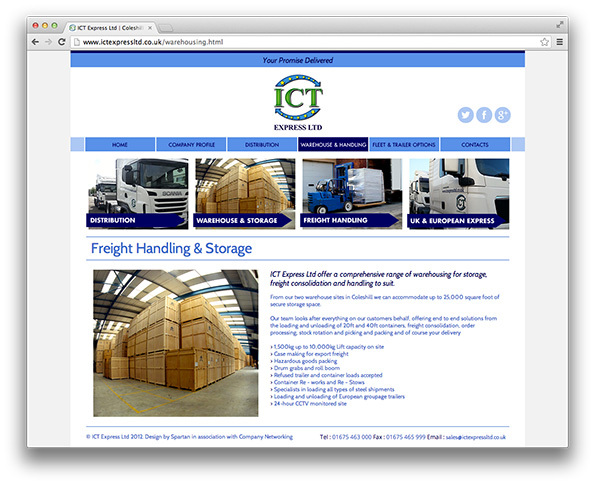 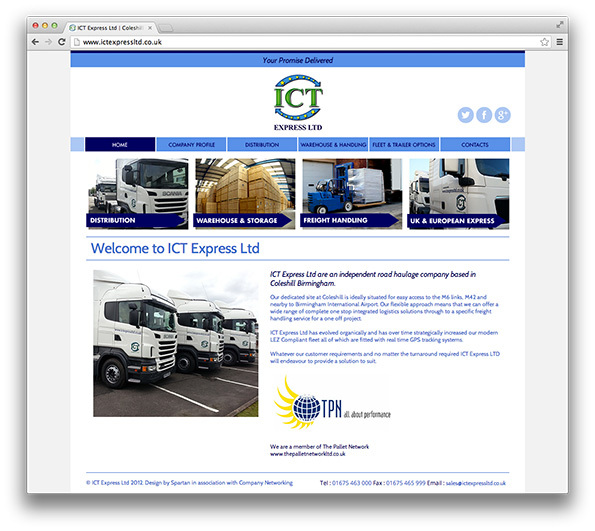 ICT Express Ltd are an established independent road haulage company based in Coleshill Birmingham. 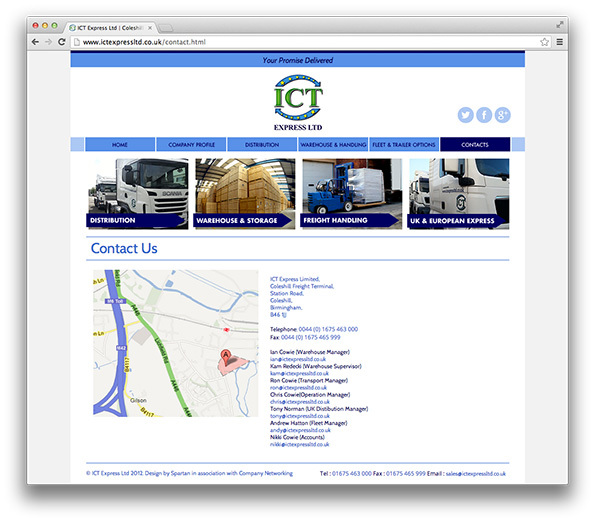 They required a re-design of their website to complement their logo and visual identity, which was already in place. 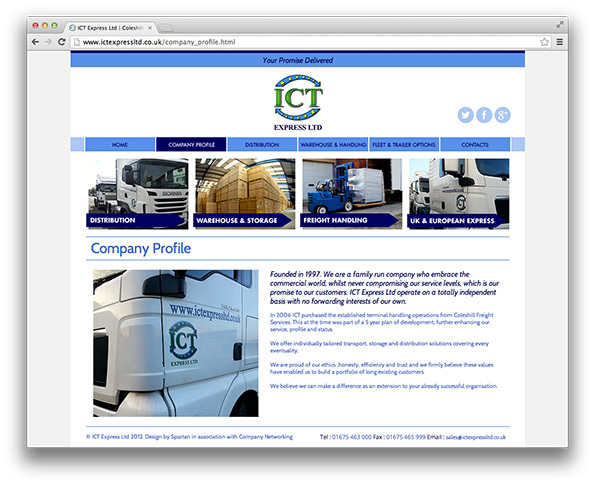 The company, founded in 1997, needed a modern online identity. 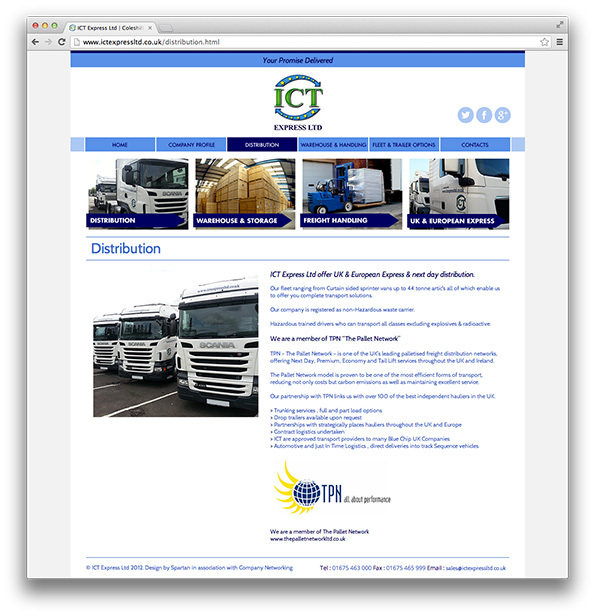 This was achieved by using a fresh colour palette and using new photography of their vehicles.